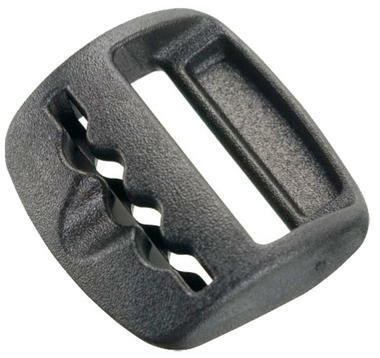 The Apex Waveloc LL is the solution to thin webbing requirements and families with Apex SR series of buckles; patented technology produces a treacherous path to hold web in place when not under tension. Features a single bar tie-down when space is constrained. Typically used with .55mm-.65mm webbing.